The last week of February proved to be another disastrous week on the planet for marine life. There are far too many events to post individually so here is a highlighted list below. 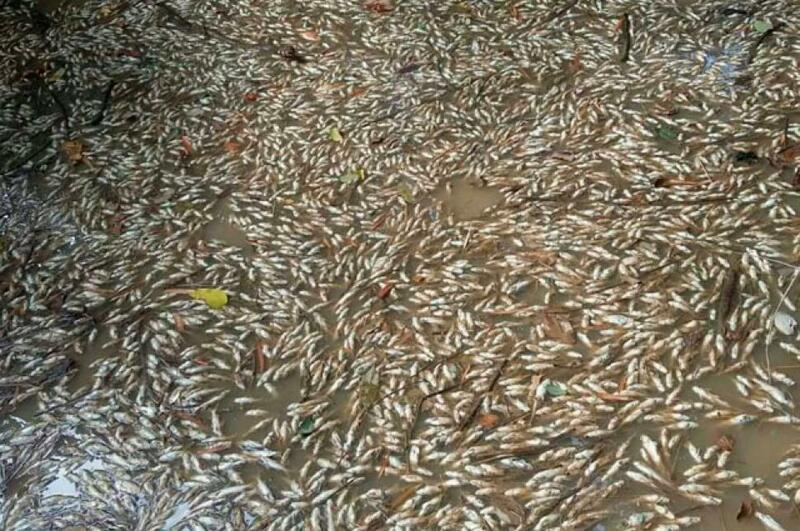 28/217...20 tons of dead carp washed up along the beaches of Lake Neusiedl, Austria, experts claim cold water killed the fish. 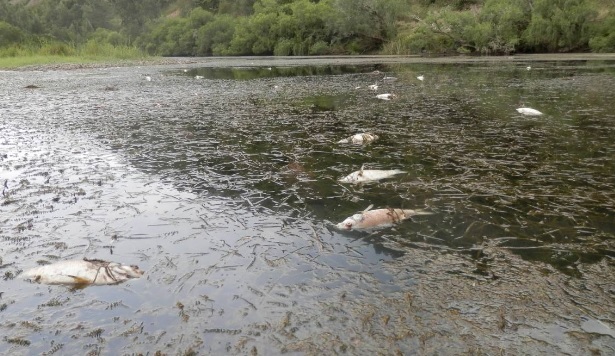 28/217...Hundreds of dead fish found in a river in New South Wales, Australia. 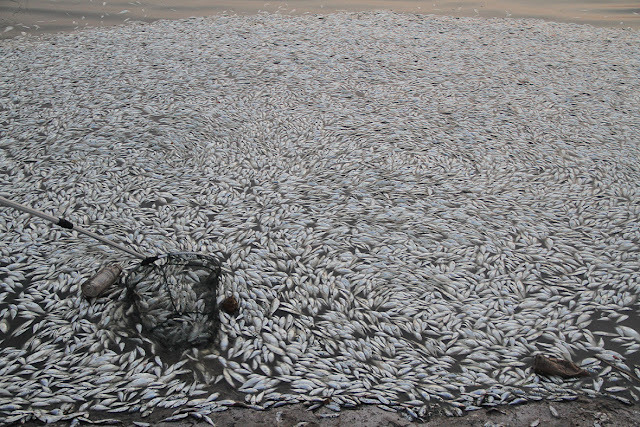 data confirmed severe oxygen depletion in the water. 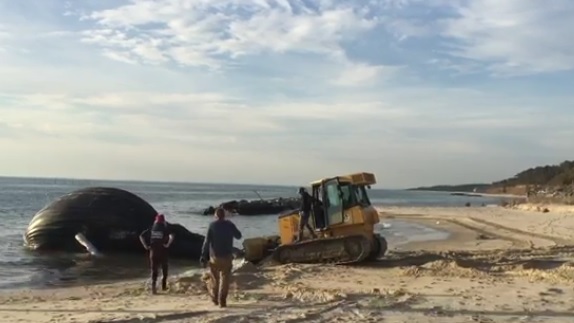 28/2/17: Four dead whale washes ashore in Virginia. 27/2/17: Thousands of fish have died in the Magdalena River in Colombia. According to information, this was due to the passage of a large amount of mud, caused by an avalanche that was registered in the municipality of Campo Alegre, in Huila. 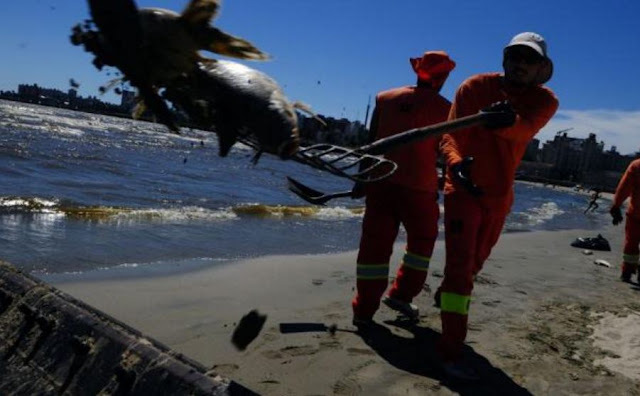 Hundreds of fish were found dead on several beaches in the provinces of Montevideo and Canelones, both in the south, in a fact that the authorities of the National Directorate of Aquatic Resources (Dinara) attributed to the heat wave that the country lives, Local media reported. 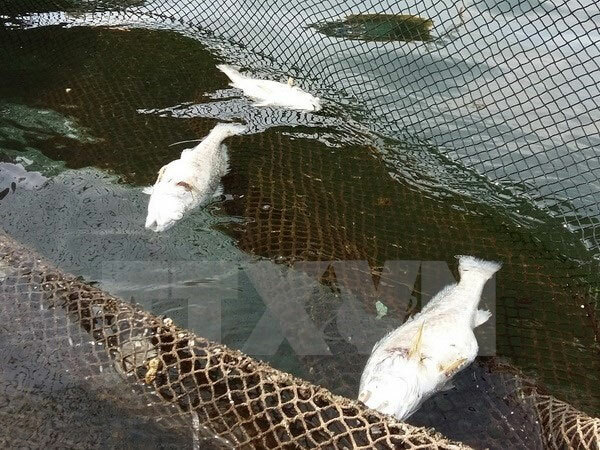 Local authorities have not been able to take a complete inventory of the quantity of dead fish. They are encouraging people to gather all the carcasses and destroy them, preventing further pollution. 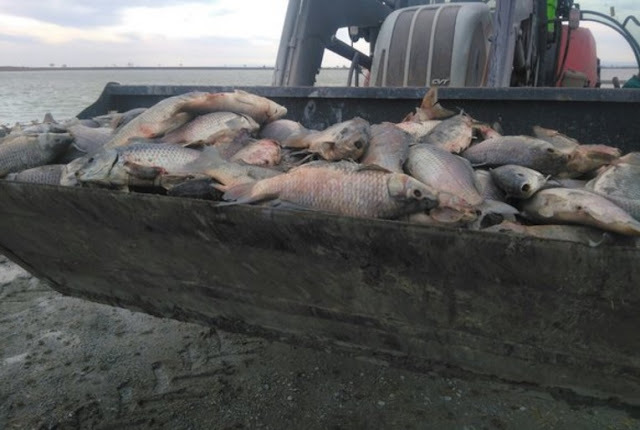 Until late Wednesday, there were still cases of dead fish being found in the river. 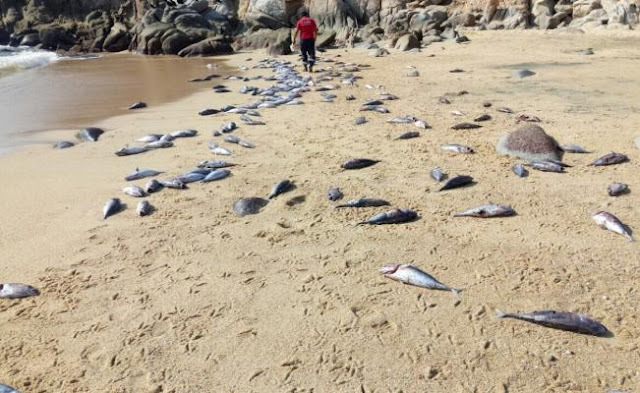 Mass fish death on the Nghi Son Island, Thanh Hoa Province, in last year’s September, was not due to pollution, authorities said. Fukushima incident can be blamed for a lot of this. 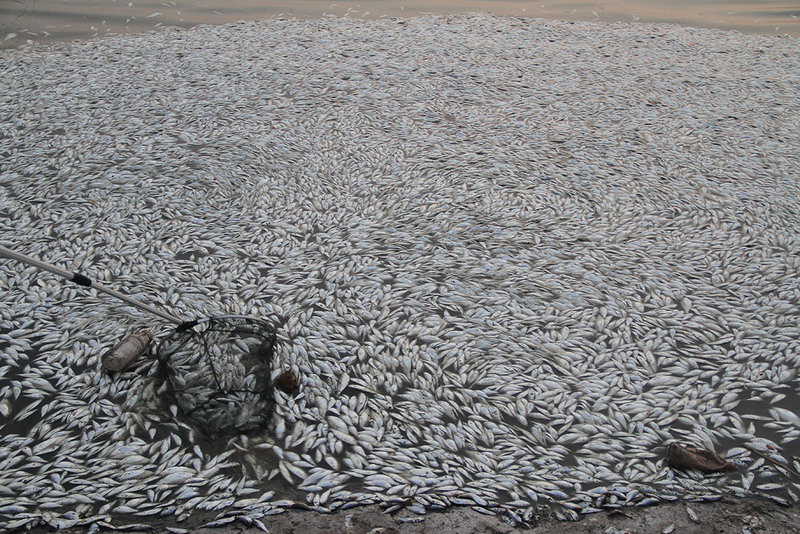 It's still poisoning the ocean daily and in large amounts. Also, I love fish, and we won't hardly eat any fish anymore. It's a shame because I grew up eating tuna and other fish. Now hardly any. I miss our salmon.